An argument that put the prime minister at odds with Israeli actress Gal Gadot, who played Wonder Woman in the Hollywood blockbuster, was one example of the pre-election populist rhetoric that has become his trademark. As Israel approaches an April 9 general election, Netanyahu is again resorting to right-wing populism that critics say amounts to the demonization of Arab Israelis and others to appeal to his support base. The social media dispute that drew in Gadot was one in which Netanyahu faced an outcry over his comments regarding Arab Israelis. Some analysts expect more to come in the campaign’s final days as Netanyahu fights a close election under the threat of indictment for corruption. “What you’re probably going to see is him exacerbating the polarization – us versus them,” said Reuven Hazan, a political science professor at Jerusalem’s Hebrew University. 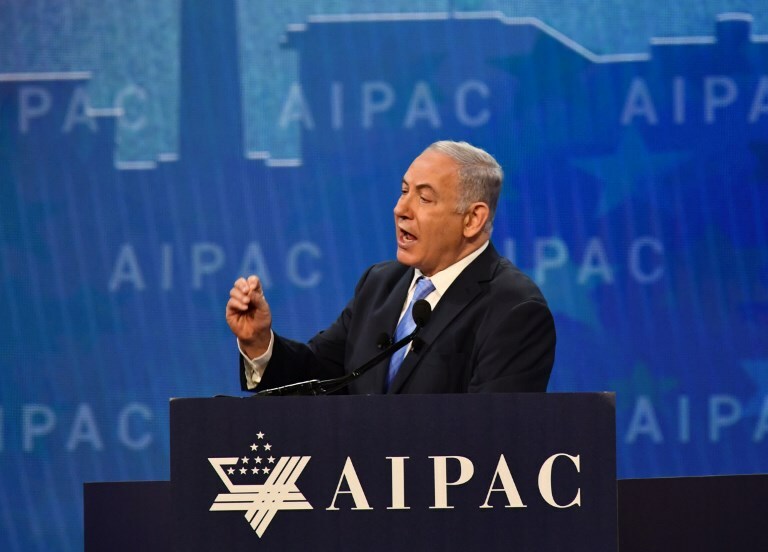 On election day in 2015, Netanyahu infamously warned that Arab voters were going to the polls “in droves” – and, according to state investigators, made sure a news website featured the video. This year, he has continually sought to convince voters that his main opponent, former military chief Benny Gantz, would ally with Arab political parties. As part of that argument, he has used the catchphrase that the election is a choice between “Bibi or Tibi” – using his own nickname and referring to prominent Israeli Arab politician Ahmad Tibi, a staunch anti-Zionist. Israeli Arabs, the descendants of Palestinians who remained on their land following the creation of Israel, account for some 17.5 percent of the country’s population. Sawsan Zaher, deputy director general of Adalah, a legal center for Israel’s Arab minority, said the rhetoric amounted to “not only racism but even intentional racism”. “And what will this incitement lead to on the ground and on the streets against Arabs?” Zaher asked. Some analysts say they see Netanyahu’s rhetoric less as expressions of his true beliefs than as bare-knuckled politics. Israeli politics has moved sharply to the right in recent years, with much of the electorate disillusioned by failed peace efforts with the Palestinians. As one example of Netanyahu’s opportunism, analysts point to a deal he brokered with the extreme-right Jewish Power party which many see as racist to try to ease its way into parliament. The agreement drew widespread disgust, but Netanyahu defended it by saying he needed to ensure no right-wing votes go to waste as he eyes his next coalition. Recent opinion polls show Gantz’s Blue and White slightly ahead, though far short of an outright majority. Much may depend on post-poll negotiations to form a coalition, but in the meantime, Netanyahu appears to be leaving little to chance. He has echoed the tactics of his ally U.S. President Donald Trump by castigating the police who investigated him and the news media that have reported on it. He has also highlighted his bond with Trump as part of his efforts to portray himself as Israel’s irreplaceable statesman. But his comments on a law passed last year declaring Israel the nation-state of the Jewish people have been among his most divisive. Last month, in response to social media comments by another Israeli actress, Rotem Sela, Netanyahu said the country was “not a state of all its citizens” in a reference to Arab Israelis. “According to the basic nationality law we passed, Israel is the nation-state of the Jewish people – and only it,” he wrote on Instagram. “This is like Trump taking on somebody from the entertainment industry in the U.S.,” said Hazan. Hazan said Arab Israelis were not the only target of Netanyahu’s rhetoric. Hazan cited Netanyahu’s attempts to label Gantz’s alliance leftist and “weak” – even though it includes three former armed forces chiefs of staff. Israel’s attorney general has announced his intention to indict Prime Minister Benjamin Netanyahu on charges of fraud, breach of trust and bribery pending a hearing.